What If “God” Was a Lactose Intolerant Vegetarian Allergic to Donkey Dander? If we were able to suspend belief, wipe the slate clean, and ponder our world as if today was day one; chances are “God” would be a lactose intolerant vegetarian allergic to donkey dander. I shudder to think of the litany of psychological disorders the man could have been diagnosed with – grandiose delusions, intermittent explosive disorder, narcissistic personality disorder – a psychologists dream, requiring intensive therapy and medication. Restless leg syndrome, halitosis, erectile dysfunction , acne, an unsightly over-bite; all treatable and available for nothing more than the cost of vanity. Ponder how different the world might be if “God” was burdened with marketing and perception, just like all of us. Of course “God” didn’t worry about such things, nor were any of them relevant to his “time”. Vanity was considered a sin, you ate what you had, and sneezed all over your donkey if it got you to your destination. Religions were born of a time and place, based on that time and place, and relevant within the context of that time and place. While possible that “God” could have conjured up a hairless donkey to combat his itchy eyes, it’s doubtful psycho analysis was available – likewise botox injections, tofu turkey, and soy milk. I ask all fundamentalists to ponder for a moment how ludicrous it is to apply ancient context to modern times. The world is no longer flat, men of science are not burned at the stake, homosexuals don’t burn in hell, and not only does the Catholic church tweet – they concede the possibility of extraterrestrial life. One last serious question – does the Catholic church provide rice crackers for the faithful with an aversion to the glutenous body of Christ? Referring to the “host” of Christ in the sacrament. Often I find myself pondering something so obvious I hesitate to put it in words. Second guessing myself until finally I crack and the obvious flows. This thought has rattled around my head for the last few days; it goes without saying, but I had never looked at it this way.My reluctance to verbalize the obvious is obvious. A few days ago while reading posts on a reddit site obvious struck.The discussion centred on existence of “god”, back and forth, good points, bad points, my points. Obvious found me striking down the “righteous’ left, right, and centre. Poor obvious; standing right in front of me and I din’t even see it. Obvious is tricky that way – when finally it becomes clear – obvious pulls out all the stops leaving a lasting impression. Obvious is unbiased, reasonable, and without question awarded the last word. Obvious explained religious debate was a game of Tic Tac Toe, there are no winners. Opinion, debate, discussion – entertaining, thought provoking, but futile. My opinions could no more sway religious fundamentalists from their path than theirs could convince me of a sentient being running the show. Obvious made a suggestion – why don’t we agree to disagree and get on with it. What could be more obvious than religious fundamentalists keeping opinions to themselves. Obviously religion, faith, spirituality are personal, therefore completely inappropriate when used as political or ethical platforms. Obviously everyone thinks they’re right so the game isn’t much fun. 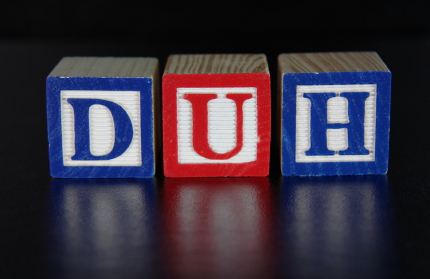 Pondering obvious may be silly – all the same, stating the obvious often speaks more than quibbling over whose turn it is or why we should get to go first. It’s obvious to me – believe whatever makes you happy; just keep your opinion to yourself.